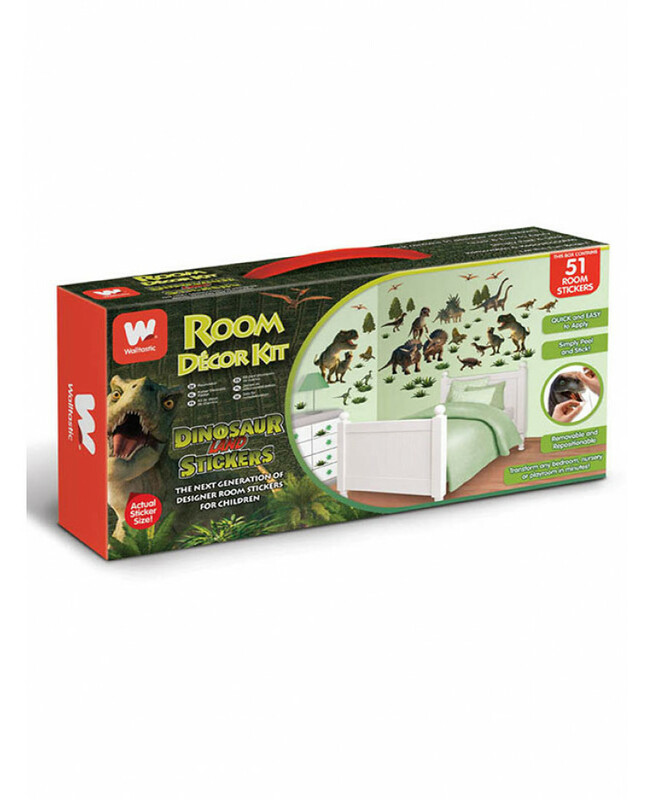 If you’re looking for a simple way to transform a room, adding interest and excitement for your children, this Dinosaur Land room décor kit provides a straightforward, practical and cost-effective solution. 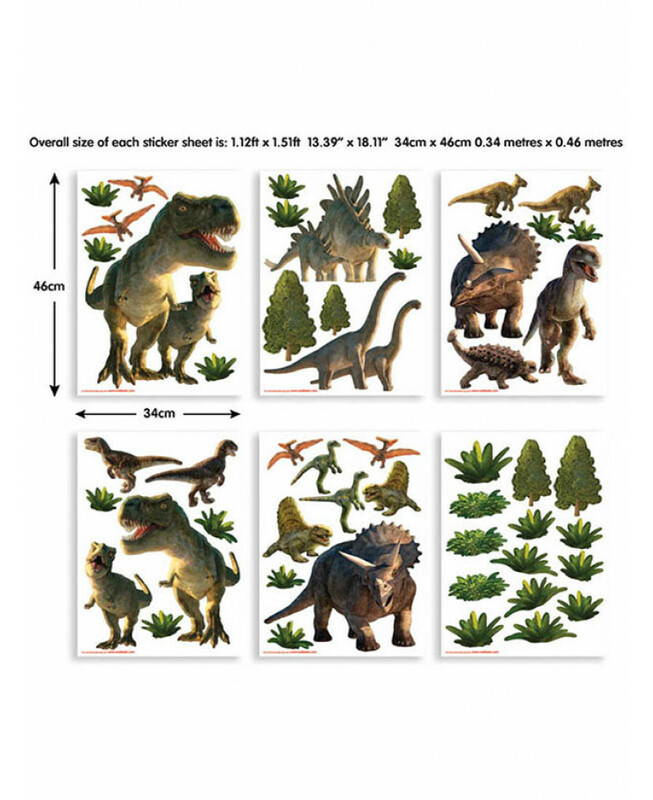 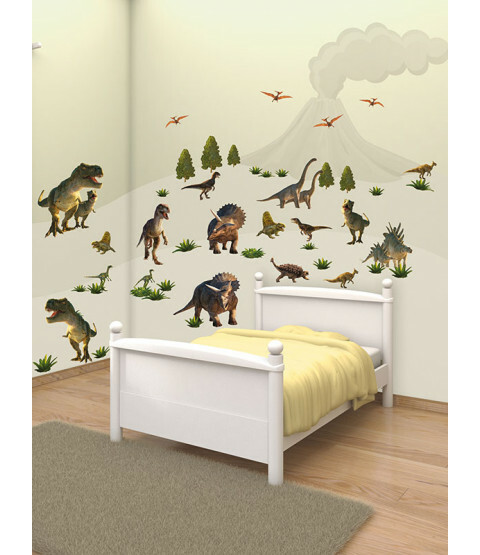 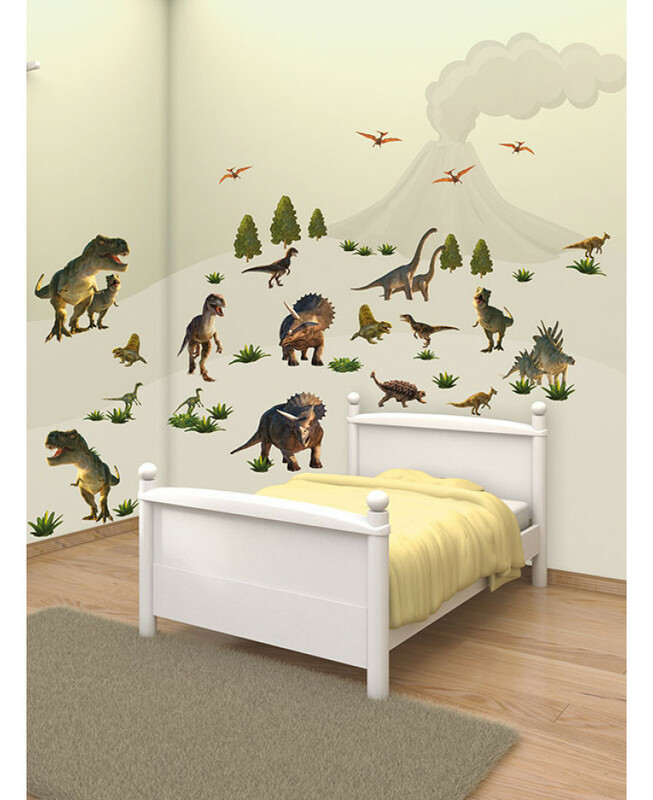 The kit contains 51 dinosaur themed wall stickers, all of which are easy to apply and can be removed and repositioned if required. 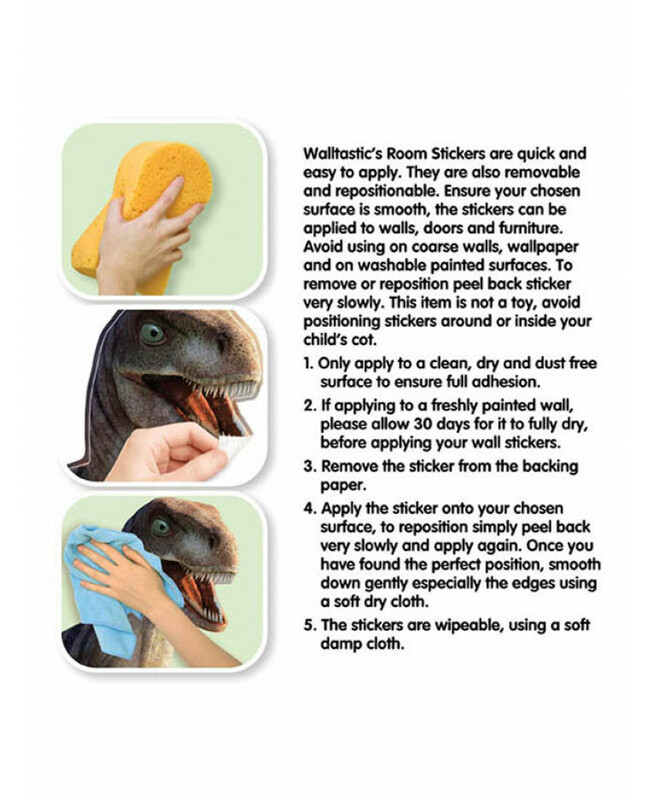 As the stickers are pre-cut and self-adhesive, there is no need for messy glue or paste making your room makeover a doddle.